Adelaide has plenty of restaurants offering Mediterranean cuisine, mostly representing the flavours and traditions of Italy, Greece, Turkey, Spain and France. By comparison, the broad expanse of the African countries to the south of the Mediterranean Sea are barely spoken for. 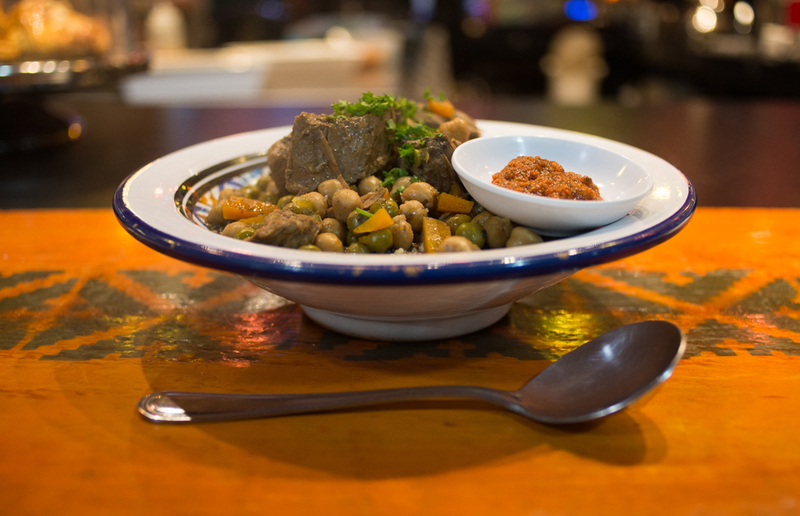 There are few Adelaide restaurants offering traditional food experiences from the Maghreb, yet as home cooks we are strangely well-acquainted with the flavours and ingredients of Morocco, Algeria and Tunisia. Open anybody’s pantry and there’s probably a packet of couscous and a tin of chickpeas, and possibly a jar of stale harissa paste in the fridge, but how many of us really know how to make couscous well? 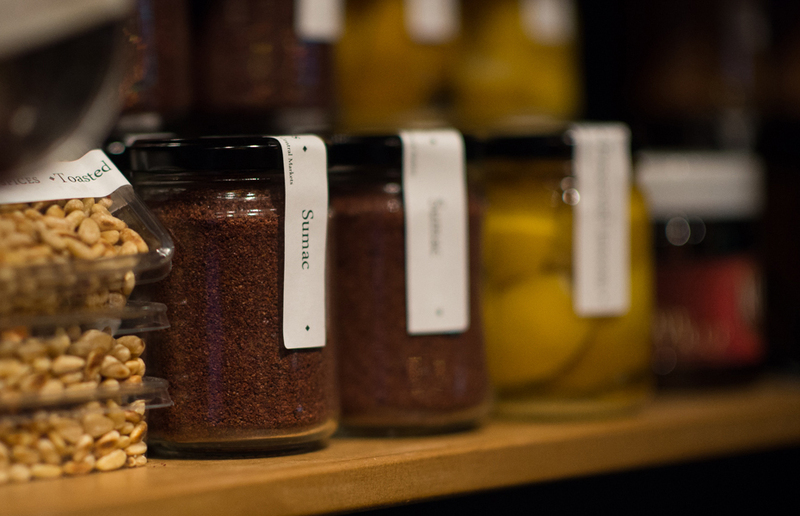 And where do you go to get fresh supplies of essential spices and spice blends such as ras el hanout, sumac and baharat? 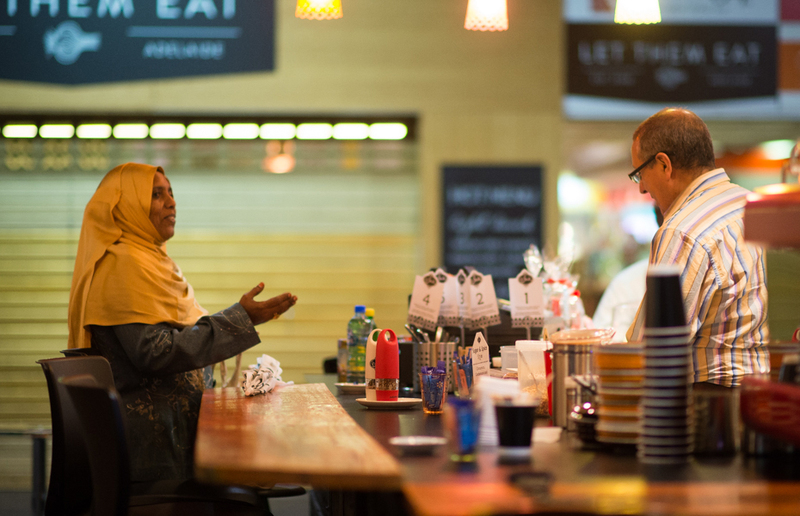 Le Souk means The Market in French/Arabic and Le Souk at the Adelaide Central Market is a place where you can go to buy traditional North African ingredients. 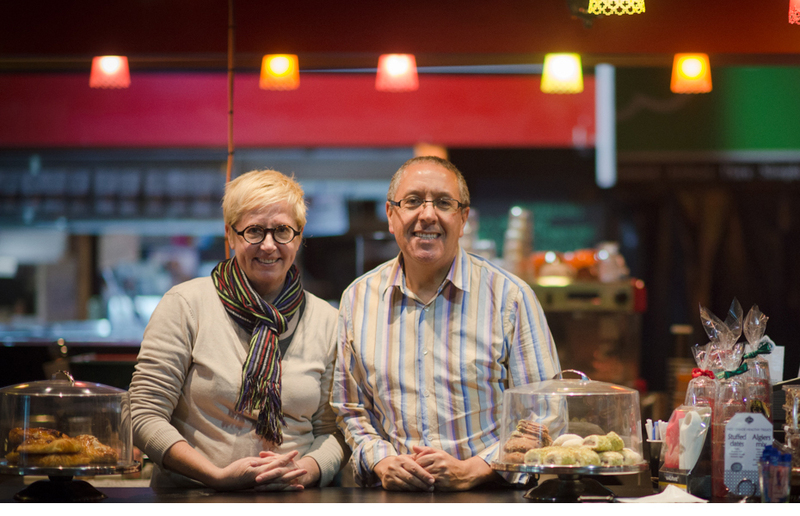 You can also sit down and enjoy authentic Algerian meals and snacks prepared and served with exotic flair by owners Azou Bouilouta and Julia Melvin. “There has been a plethora of TV programming on Algerian cuisine, but we come from the kitchen and home cooking,” explains Melvin. The vibrancy of the Adelaide Central Market environment lends itself well as a setting for Le Souk. The earthy warm tones and Moorish embellishments create a sense of anticipation. You know you’re going to be culturally enriched here. You can smell it and you can see it all around you in jars of spices and preserves, bags of dried beans and peas, and sweet treats dripping with honey and nuts under glass cloches. If you’re sitting down to eat or drink, there are stools around the bar and tables and chairs outside on the Eastern Roadway that forms the perimeter of the Central Market. You will find Le Souk diagonally opposite the entrance of the Market Arcade. Favourite dish: Lamb couscous ($15.50). A steaming Tunisian hand-painted plate of couscous is piled with chunks of lamb slow cooked for six hours in Le Souk’s own ras el hanout (commonly a blend of spices such as cardamom, cumin, clove, cinnamon, nutmeg, ginger, chilli, coriander, paprika, fenugreek and turmeric, but the quantities of each is up to the blender), sumac (a lemony-flavoured spice from North Africa), chickpeas, peas and carrots. Some of the lamb pieces were a little dry, but the flavour of the braise was extraordinarily good and I’ve never eaten such silky and tender couscous. Bouilouta and Melvin gave away their secret: it’s their own specially imported and exclusive brand of couscous and it’s twice-cooked (you can buy it in 500g packs at Le Souk for $4). It’s served with a side dish of Le Souk’s fresh house-made spicy red harissa paste (a blend of hot peppers, garlic and spices) and if you like it there are 250g jars to take home ($9) and put in your fridge. Other dishes: There is a broadbean and chickpea salad served with that delicious warm couscous ($14.50). Our vegetarian (except when it comes to pork belly) photographer loved this dish, but on such a cold day I preferred the pervading warmth of the lamb couscous. 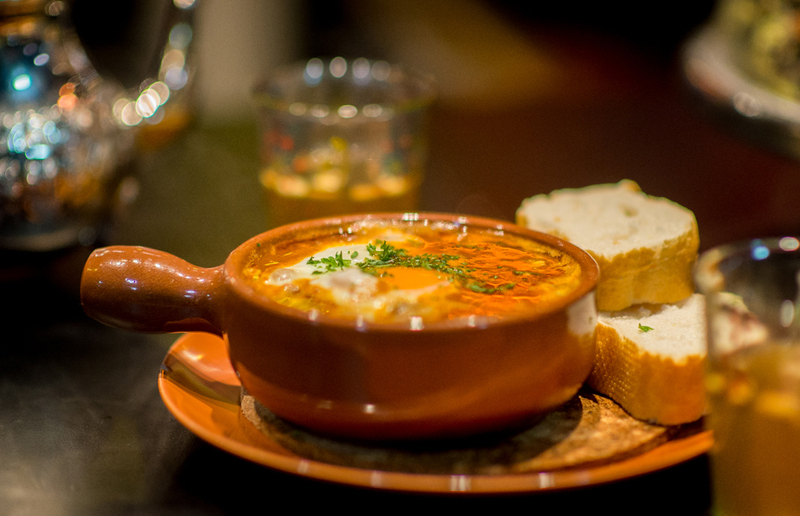 We were also lucky enough to try Le Souk’s version of chakchouka ($16/$12), which is normally a vegetarian dish of eggs poached in a sauce of tomatoes, red capsicum and onions, but Bouilouta makes it with slow-cooked minced beef. Le Souk is particularly proud of its merguez (spicy North African sausages) made with coriander salt. These can be served with couscous ($15.50), for breakfast with eggs, spinach, mushrooms and toast ($16), or on a baguette ($13.50) with sautéed red capsicum, red onions and harissa. There are also lots of interesting salads and melwi (Algerian toasted sandwiches). Something sweet/to drink: Le Souk has a supply of Turkish delight and other sweet Mediterranean treats that are coated in honey and nuts or dusted with icing sugar. A few bites of sweet rose-flavoured gel and a quick dust-off of the icing sugar from down our fronts was all we needed. As well as coffee and a variety of fragrant teas such as rose, saffron, cardamom, cherry and apple, Le Souk serves traditional mint tea for one ($4.50) or two ($8). Fresh mint leaves are steeped in hot water in an exotic engraved silver tea pot before being poured over toasted pine nuts. 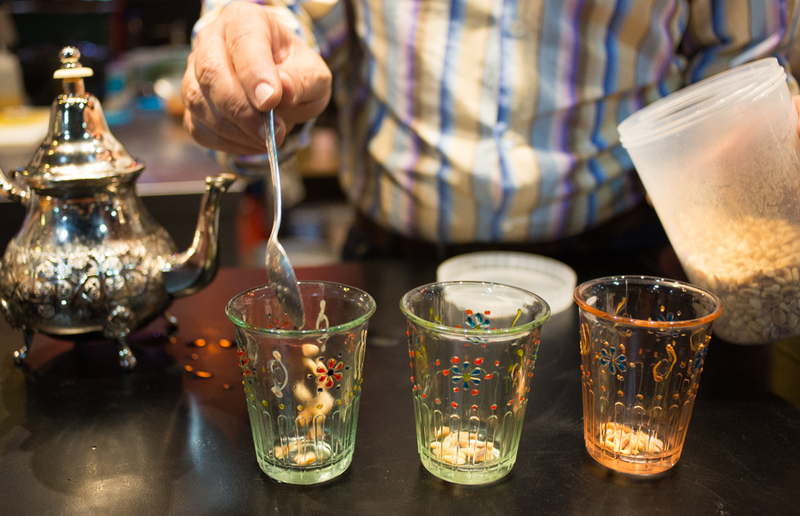 “The roasted pine nuts release oil into the tea, making it smooth and velvety,” says Bouilouta as he pours the steaming tea into tiny coloured glasses from a great height. “Azou enjoys the theatre,” says Melvin. Open Monday to Thursday (7am to 5.30pm), Friday (7am to 9pm) and Saturday (7am to 3pm).